Introduction: GRods International has continued to expand their offerings and the Game Changer Series is designed to make the company�s graphene technology much more affordable and accessible to everyday anglers. The rods don�t stray too far from the company�s existing lines when it comes to layout and styling but as you would expect makes use of a different blank and components to achieve the more aggressive price point. 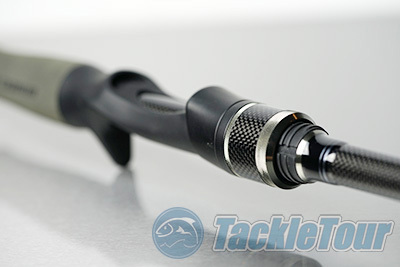 Time to see just how much of a �Game Changer� these new rods really are. 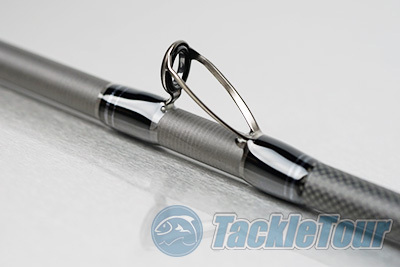 Impressions: If you have been following GRods than you probably know that their rods all have a distinct look and feel with their signature matte black blanks and heavy use of 1K carbon fiber outer scrims combined with aluminum trimmed components, giving their rods a clean and modern look. The Game Changer rods do more than channel their higher end siblings and feature the same basic layout with lighter colored EVA handles and darker pewter aluminum components to help distinguish them from the rest of the line. 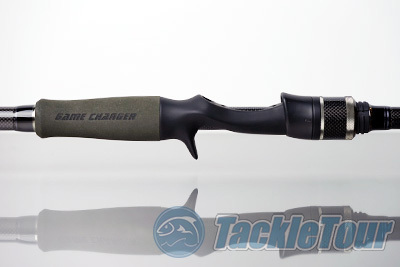 To further help anglers identify the new line the �Game Changer� series name is also etched into the side of the main EVA grips. Overall the rods look really sharp, albeit very similar to the GRods Pro Bass line. While the rods may look very analogous what is inside the blank is really what sets them apart. The Game Changer rods are built with a lower modulus, but are still built with the same Toray/Graphene carbon fiber technology throughout. The rods still make use of Fuji PTS reel seats with a soft dura-touch finish but the another way that G-Rods was able to bring down the price point was to integrate proprietary guides versus Fuji guides, and the good news is they are still titanium framed for low overall weight. Real World Tests: I have been fishing the Game Changer GC-73MH-1C for exactly one year, leveraging the rod for a variety of applications, targeting largemouth bass in the California Delta and a variety of Northern California lakes. 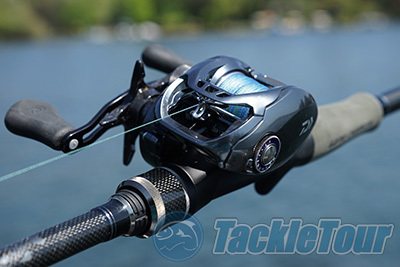 I�ve paired the rod with a variety of reels but ultimately found the perfect pairing in terms of styling, balance, and price point with the Diawa Tatula SV TWS which together became a workhorse heavy plastic and light swimbait rig for me throughout the entire Summer and Fall months.